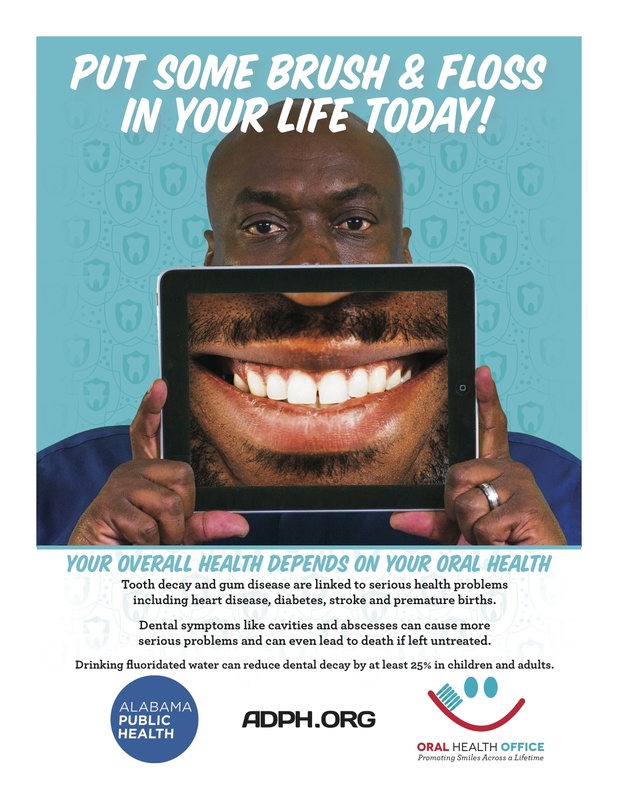 Your overall health depends on your oral health. 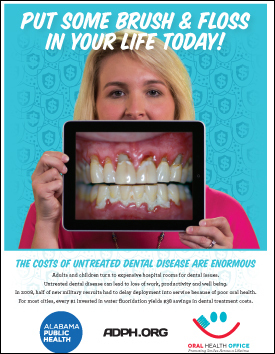 Brushing, flossing, and regular dental checkups are key to maintaining good dental health. 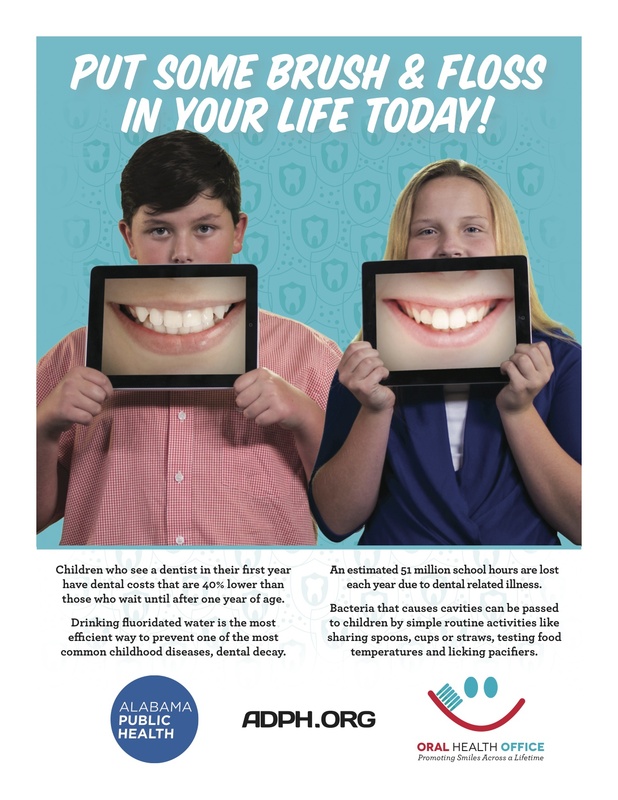 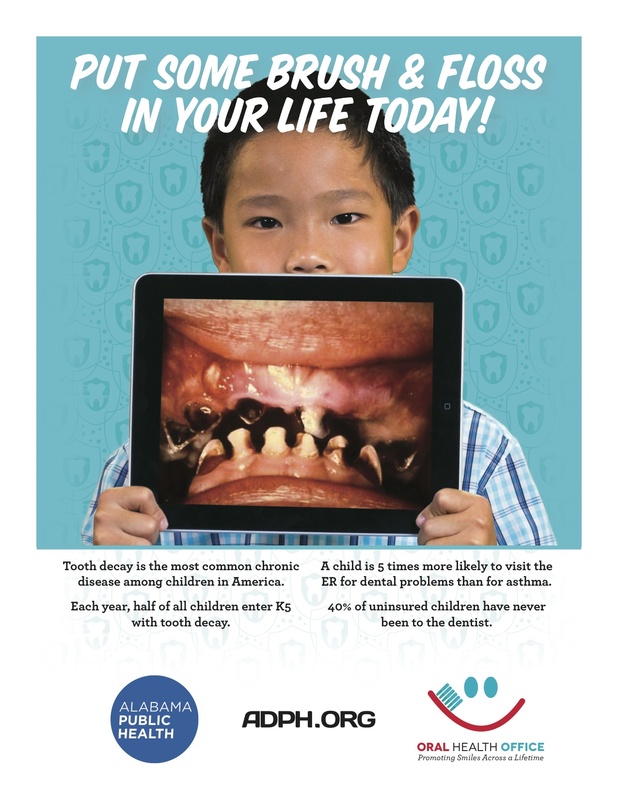 The Oral Health Branch has developed the following materials to help educate Alabamians on the benefits of healthy teeth and gums.